Summertime is the perfect time to get out and enjoy all that Ashland has to offer: a walk in Lithia Park, the OSF Green Show each evening, the First Friday Art Walk each month and more. 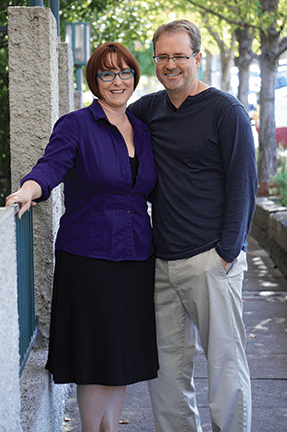 When Medford’s EdenVale Winery opened up Enoteca (which means wine library in Italian), their downtown wine shop, almost six years ago on the Plaza, owner Anne Root intended to provide visitors and locals alike with a cozy, inviting place to gather to appreciate the fine wines and points of interest this valley has to offer. However, to simply call Enoteca a tasting room would be a vast understatement. In our recent conversation with Anne and manager Sydney Mayfield, I learned that EdenVale Winery’s Enoteca is so much more. From a wide variety of concierge services to live music and private parties, Enoteca is the perfect place to relax and unwind with a glass of one of EdenVale’s 20 different wines. With award winning Tempranillos and Rhone varietals, like Syrah and Grenache, their passionate and experienced staff is ready to introduce you to the artistry found in every bottle. Thanks for taking the time to speak with us today ladies. Enoteca is really more than just a conveniently located tasting room. Tell us more about what Enoteca has to offer. 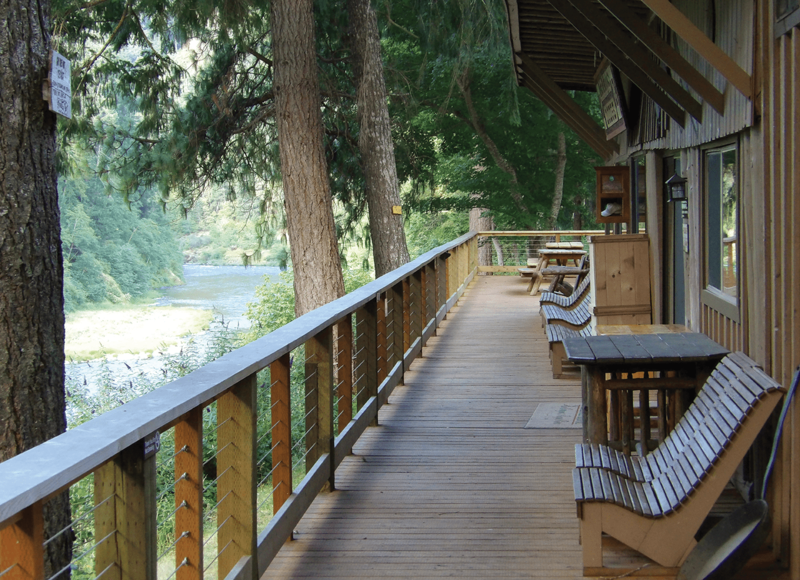 We really want to celebrate everything Southern Oregon has to offer by providing a welcoming and comfortable space to enjoy fine wines and learn about the region. We believe it is important to support our local industries and Enoteca provides a place to access Southern Oregon’s great local products and find more information about them. At Enoteca, guests not only get to taste EdenVale Winery’s award-winning wines but they also have access to other products produced in our region, whether wine, beer, or food. We provide a cozy atmosphere in a beautiful and comfortable setting where our friendly staff can provide guests with a great experience. We are able to share our local knowledge with visitors and deliver a concierge service to offer information and point people towards wineries to visit, art galleries, restaurants and other must-see attractions in the area. So a traditional Italian enoteca is a wine library or resource for the community. How are you achieving that here in Ashland? 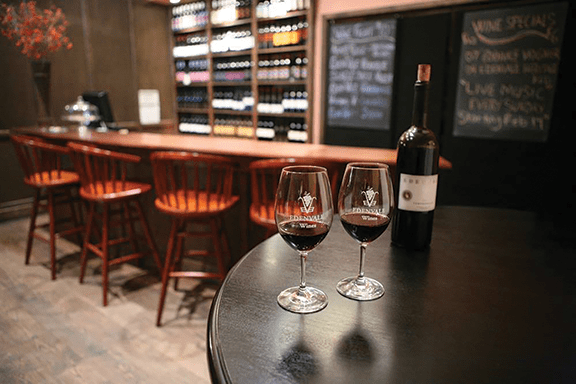 A traditional Italian enoteca is located in city centers throughout the country where visitors and locals can sample regional wines and learn about the wines and vineyards of that area. If a guest finds a wine they enjoy, they are directed to that specific winery where they can purchase larger quantities of their favorite wine directly from the producer. 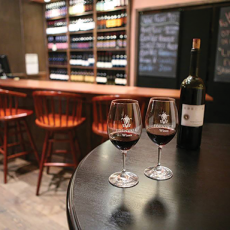 At EdenVale Winery’s Enoteca in Ashland we are able to accomplish the same goals of a traditional enoteca. Guests are welcome to taste EdenVale wines and learn about other wines produced in Southern Oregon. If someone is looking for a specific varietal or wine style, we can direct him or her to a local winery that produces the wine they are looking for. What’s great about our Ashland location is that you do not need to leave town to experience outstanding Rogue Valley wines. If you are looking for the country winery experience and have limited time, we can help point you directly to a winery that will fit your needs. 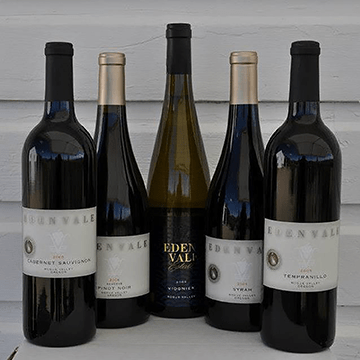 EdenVale Winery is located at the historic Eden Valley Orchards, which has a long agricultural history in the Rogue Valley. 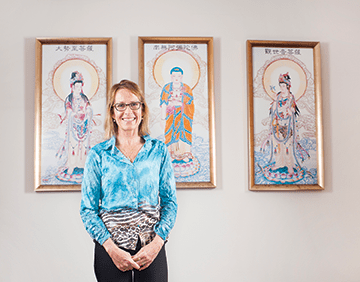 EdenVale Winery was a logical next step when Anne Root took the helm and began producing wine in 2001. How has this influenced the fine wines produced at EdenVale today? 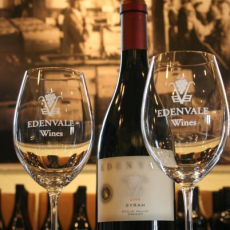 In 2003, EdenVale released its inaugural 2001 vintage. 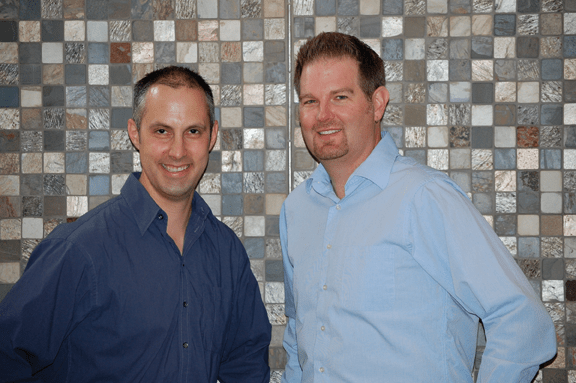 We are honored and excited to participate in the fast-growing Oregon wine industry. As Southern Oregon becomes more renowned for its flavorful and robust wines, our goal is to do our part in achieving greater recognition by creating top quality, enjoyable wines. The EdenVale Winery facility is located on property widely recognized as the birthplace of Oregon’s commercial pear industry at Eden Valley Orchards in Medford. Amidst this significant historic setting surrounded by pear orchards, EdenVale Winery now concentrates on making the finest wines in Southern Oregon, specializing in Syrah, Viognier, Malbec, Cabernet Franc, Tempranillo, Grenache, Merlot and Chardonnay with the same passion and great care that has always been an important tradition. We also support the agricultural heritage, modern-day farms and artisan businesses that express the region’s bounty and diversity. And in that short period of time, EdenVale has garnered quite a bit of international praise. Tell us more about the awards that your wines have won recently. We are very proud of the recognition that EdenVale has received for our excellence in winemaking here in the Rogue Valley. Our winemaker, Ashley Campanella, has done an outstanding job producing exquisite wines that are receiving awards year after year. Most of the wine competitions where we prefer to compete are international and generally attract thousands of applicants and varietals from around the world. 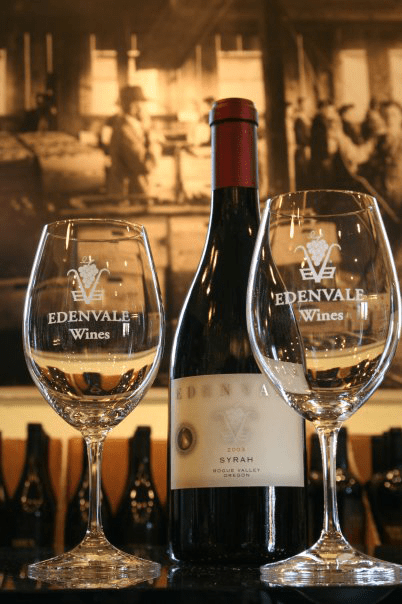 Most recently, EdenVale was awarded two Gold medals at the 2014 Grand Harvest Awards for our 2007 Reserve Syrah and our 2007 Reserve Cabernet Sauvignon. We also received a Double Gold medal with a 99-point rating for our 2007 Reserve Merlot from the 2014 San Francisco International Wine Competition. We are very proud of these awards! You have done an excellent job making the whole wine tasting experience accessible to the community. Tell us more about that experience. Our goal is to provide not only an enjoyable, but very approachable wine experience at our Enoteca. Guests are welcomed into the wine bar with the opportunity to sit with our staff members as we walk you through a wine tasting flight and describe each wine. We do not intimidate you with complicated wine terms but create a friendly conversation about the wine as it travels from grape to glass for your enjoyment. Everyone who works at Enoteca is passionate about the local industry and shares that passion with everyone who walks through our door. Beyond wine tasting, we have an upstairs lounge where guests can enjoy a glass of wine or a bottle with friends in the comfortable chairs with views overlooking the plaza. Our bistro menu of light fare makes for the perfect snack with your wine. Enoteca is the best spot in Ashland to enjoy a glass of wine before a play or relax after a day at work. In order to round out the experience at Enoteca, you must have experienced and highly trained staff. We are very fortunate and proud to have staff members that are not only passionate about wine but have also received some sort of formal training in the industry, whether it be from the Rogue Valley or out of state; a couple even have a Sommelier background. 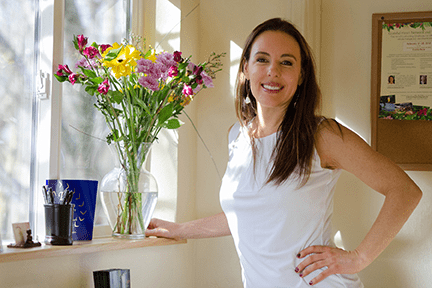 Sydney, Enoteca’s manager, has a degree in Business Administration, with an emphasis in Hospitality and Tourism, from Southern Oregon University. 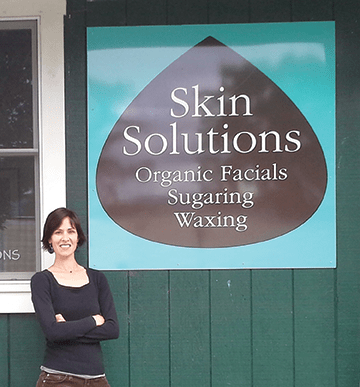 She grew up in the heart of the Willamette Valley, surrounded by vines and wineries. 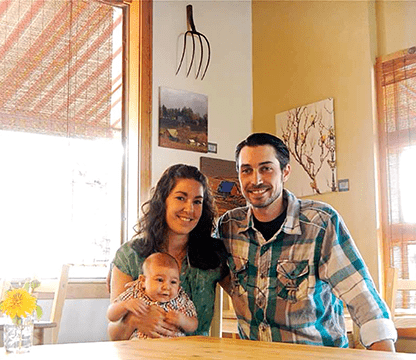 Sydney fell in love with Southern Oregon wines during her education, especially in her Wine Appreciation course taught by Lorne Razzano, the founder of the Ashland Wine Cellar. Sydney appreciates the artistry that goes into making wine and enjoys sharing that passion with everyone who enters our tasting rooms. You mentioned the importance of the aging process in producing excellent wine. Can you help us understand more about this key principle? 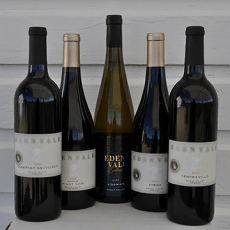 EdenVale Winery is unique in that we embrace the old-world winemaking tradition of providing barrel and bottle aged wines. Our Reserve red wines are aged in oak barrels for at least 2 years before they are bottled and aged another 4-6 years before they are released. Oak barrel aging allows for water to evaporate out of the wine to produce concentrated fruit flavors from the grapes and you will taste subtle toasted or smoky flavors in the wine from the oak. Bottle aging allows tannins to soften and the resulting wines taste incredibly smooth. The current vintage releases for Reserve red wines from EdenVale are 2006-2007. It takes a lot of patience and care to hold onto our bottles that long before letting guests sample and buy them, but we’ve found that it is well worth the wait and makes our wines stand out. Once you’ve bought a bottle of Reserve red from EdenVale, all you have to do is open it and enjoy! Tell us about your new growler program. I thought growlers were just for beer! We are so excited about the success of the wine growler program at EdenVale! In the spring of 2013, Oregon passed a law allowing wineries to sell wine by the ounce in re-sealable containers, called growlers, for customers to take to-go. In the past, only craft breweries were allowed to sell in this form. This new legislation allows wineries to provide wine at a more affordable price for the customer. Since the winery is not paying for the cost of labor and materials to bottle and label their product, the customer gets the wine at a more affordable price point. EdenVale originally welcomed the wine growler program by providing Sangria on tap for growler fills. Our winemaker, Ashley, makes EdenVale’s Sangria by blending a fruity red wine with blueberries, blackberries, oranges and peaches. It is a delicious red wine cocktail that has been well received for the past few years. Our Sangria tap program took off so well, that we now offer a rotating selection of EdenVale wines on tap. This past winter we offered Grenache and our Winter Gløgg! The price for growler fills is 50 cents per ounce, but on Wednesdays you can fill up at 40 cents per ounce! We sell EdenVale growlers in three sizes: 25 ounces, 64 ounces, and 1 gallon. Don’t have a growler? No problem. Guests are welcome to bring in any re-sealable container like a Hydro-Flask, Nalgene water bottle, or Mason jar; even a growler you’ve purchased from another winery or brewery. You’ve got a full calendar of great events at Enoteca. What’s on the schedule this month? One of our favorite regular events is the Ashland First Friday Art Walk. As proud members of the Ashland Gallery Association we participate in this monthly event hosted throughout Ashland every first Friday of the month from 5-8pm. At Enoteca, we invite one of our local artisans to sample their products for the event and have wine specials. We also have live music and a meet and greet with our featured artist. 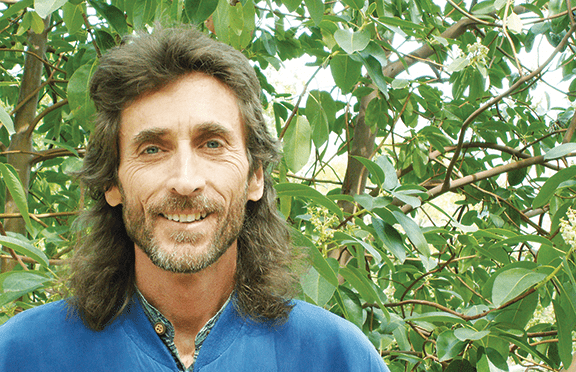 It is a lively event that all of Ashland takes part in and we look forward to it every month! We also have live music every Friday evening featuring both local and travelling musicians. It varies from soft, background music to country to rhythm and blues. You can find a complete list of events on our Facebook page! Your space feels like such an escape from the busy-ness of daily life. What other opportunities do you have for use of the beautiful space? We welcome guests to consider Enoteca for their special events. The beautiful space is perfect for any type of celebration. We love hosting birthday parties, networking events, corporate meetings, and all types of celebrations here. You can reserve the whole venue or just the upstairs lounge for your event and we can provide formal dining or a cocktail reception. We pride ourselves on catering the package to our customers’ needs; each event we host is special, and we want to make it as individualized to our guests as possible! We are lucky to be located right next to a couple of great restaurants like the Loft and Granite Taphouse who have provided the catering for a number of events at Enoteca.